NOTE: Registration for this event is currently FULL. 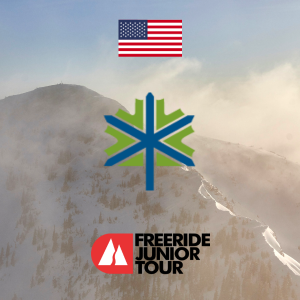 Jay Peak will add a small number of waitlisted athletes, if you wish to add yourself to the waitlist, please locate the registration link below. Liability release waivers for this event can be downloaded as a PDF file below. - If a rider requests a refund more than two weeks prior to the event date (prior to March 8, 2019) , a full refund (minus transaction fees) will be issued. - If a rider requests a refund less than two weeks before the event date (after March 8, 2019), a 50% refund (minus transaction fees) will be issued. - No refund will be provided for cancellations made less than one week before the event date (March 15, 2019). - If the event should be cancelled due to weather or unforeseen circumstance on event day, no refund will be issued to help cover the administrative costs of event setup and the employees and judges required to be on the hill.